My musical journey entered the public eye when I first performed on stage at a variety concert in Portumna Community School back in the early 90's. From that day to this I have followed my dream and performed all over the country and further afield, including the prestigious Penn State and Miami Universities in the US. I developed my own style of performing through years of gigging with my first band, Croí Óg. 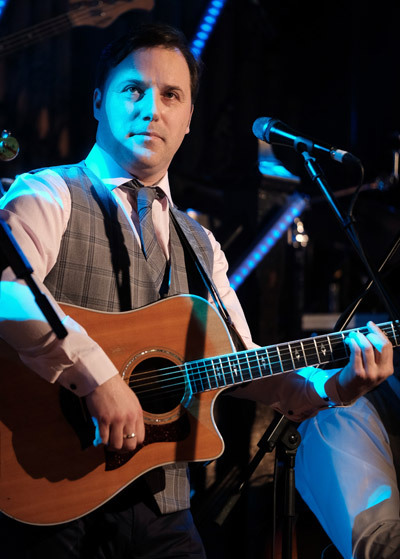 Deciding to go solo after a number of years together enabled me to perform to more international audiences by playing in musical festivals in places as far away as Germany, along with some appearances for President Mary McAleese during that time. In 2002 I released my first CD with a cover version of Marvin Gaye's "Wherever I Lay My Hat (That's My Home)" and a B-side of Bill Withers 'Aint No Sunshine'. During the promotion of the release, in 2003 I decided I would give 'You're A Star' a shot, and this gave me great experience in performing in front of a live TV audience. After the live shows ended, I toured with the 'You're A Star' artists all around the country. After the You're a Star journey, while still gigging regularly around the country, I managed to pen some songs which eventually became a full album. I spent hours upon hours over the guts of a year in the studio with producer and musician extraordinaire Paul Gurney perfecting the songs that would make the final cut. The album was launched on Friday 1st April 2006 in Portumna, and was a great success for me. Then, after a number of months in the studio, in 2017 I released my second album, called 'Begin', which is available on iTunes.